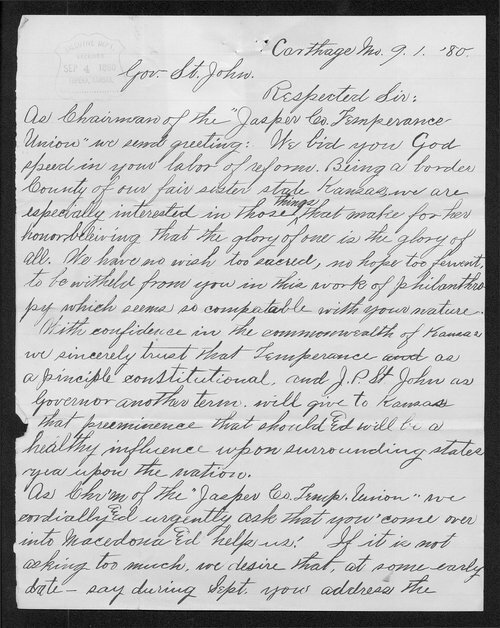 A letter to Kansas Governor St. John from George Leaming of Carthage, Missouri, praising the Governor for his efforts on behalf of the temperance movement and expressing the support of his state for "this work of philanthropy." He requests that St. John come to Missoui to present an address. Leaming is chairman of the Jasper County Temperance Union.